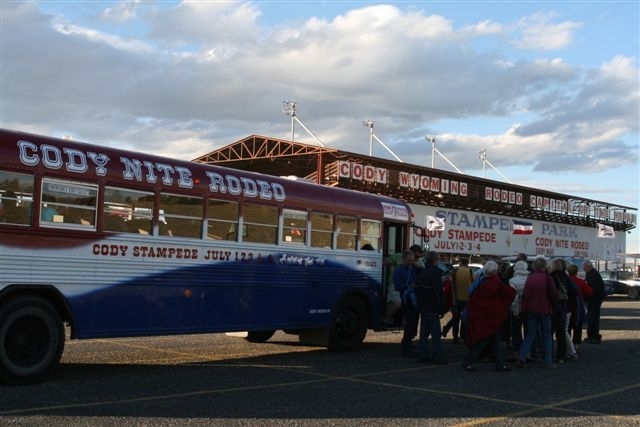 Transportation to and from the Cody Nite Rodeo June through August. Only $5 per Adult round trip, children 9-14 $3 round trip, children 8 and under free. Regular route stops within a close distance to most hotels and campgrounds in Cody. Please visit website pick up times and locations.